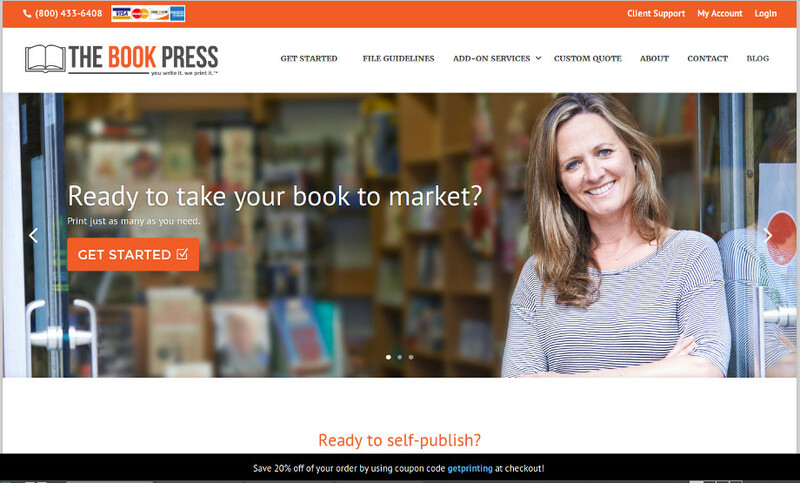 We are proud of our work towards building The Book Press digital storefront (DSF). Chock full of features, and using the latest in open source technology, this site features integrated UPS shipment tracking on both the customer and administrator side, a custom pricing engine, and full credit card processing capabilities, all at a fraction of the cost of your traditional DSF solution. Starting from a corporate brand and website with limited national relevancy, our client wanted a new brand and identity which allowed their self-publishing business to branch out into a national market. Our client also had process requirements which allowed them to maintain a long-established workflow, and had a desire to streamline the shipping and tracking process. Finally, the client had complex, table-based pricing requirements, based on a range of product variations including stock type, page size, page count, and ordered quantity. In addition to developing and deploying the technology required for the website to function as required, and in consultation with our client, we developed The Book Press brand and all associated content marketing copy and imagery, creating an easy-to-use, modern self-publishing platform powered by the latest in open source technology. The result is an attractive, mobile-friendly website geared toward authors which is perfect for promotion nationally over social media channels. The Book Press is the easiest platform out there. This mobile responsive website was created with WordPress, WooCommerce, and other freely available open source tools, allowing us to not have to charge for reinventing the wheel. Orders placed through this site integrate with UPS in the backend and frontend, allowing potential customers to review real-time shipping quotes, existing customers to review tracking info, and site operators to generate shipping labels automatically. This site accepts all major credit cards through integration with Mastercard’s Simplify platform. Customers never have to pick up the phone to place an order or mail in a check. Printing is custom manufacturing, and pricing and weights have to be determined dynamically. We extended the WooCommerce platform to generate pricing dynamically based using a custom pricing engine, adhering to strict WordPress coding standards. I’m speechless – Never in a million years did I think that we would have a site that looks as good as this does! Seriously – I don’t know what to say – this is the best looking [self-publishing DSF site] that I have ever seen!